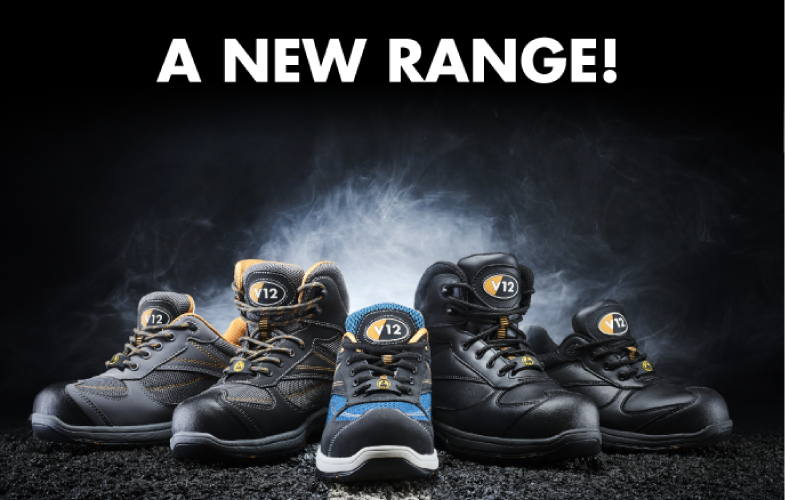 We are very excited to announce the release of our brand new, high spec range of safety trainers and hikers. With one mission in mind, which has always been to create lightweight comfortable footwear that is packed with benefits! These incredibly lightweight, comfortable styles all come with the Keymark Safety Accreditation ensuring safe feet, all day, every day. We are the first and only footwear company to currently have this safety accreditation proving our commitment to providing the safest footwear for a wide range of industries. 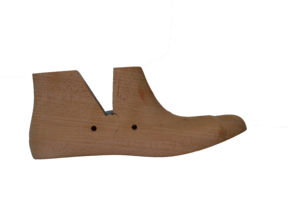 Hand crafted in Britain, our footwear is built on a wooden last which is essentially a wooden shape that is very similar to that of a human foot. Data from scans of more than 4,000 feet, has enabled us to create a very precise shape, which allows us to tailor our footwear perfectly to both men and women (who have very different shaped feet), and provide optimum support and comfort. The V12 last is at the core of the comfort-fit system (which has been incorporated into our existing and new footwear ranges) combined with our Removable Comfort Insoles and Anti-Twist Shank, that lets the boot flex naturally and in harmony with the foot, reducing fatigue caused by lateral twisting. Not only will the new range hold all the components of our comfort-fit system but the styles will be available in both men and women’s fit. Yes that’s right; there is no such thing as unisex footwear. As stated above, men and women have different shaped feet and research proves it. That's why we have invested a huge amount of time and money developing both a men’s last and a dedicated women’s last to ensure every wearer has the best possible fit. We also understand that weight has an influence on comfort and productivity, therefore we will be introducing an even lighter weight toecap than usual to reduce fatigue. This toecap uses an innovative Nano technology that ensures you still benefit from the same high protection of steel but only weighing in at under 600 grams! Another great plus is that these products are all super durable and Vegan friendly so you can satisfy all the workforce. 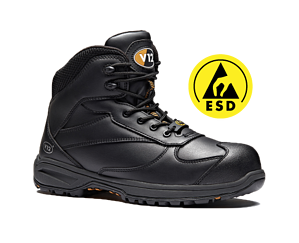 new range is fully ESD compliant and provides not only the widest range of styles but both a dedicated men’s and women’s fit in ESD products. Like tyres, the soles of our shoes are our only contact with the ground, so correct selection can make a significant contribution towards Zero Accidents. They need to provide excellent grip and traction to prevent us from slipping over; that's why we have been inspired by tyre technology to create their most innovative and slip resistant sole to date: the Intelligent Grip System (IGS). Throughout its 3.5 year development, IGS went through hundreds of design iterations, three different rubber compounds, eight prototypes, two testing labs, many test pilots and countless experts within and outside the industry. We also have independently tested this on Kennedy Grating and Scaffold board and have exceeded the recommended grip standard by 100% on both surfaces. In fact, it is the only multi-purpose safety sole to have been awarded a 4 star grip rating by the HSL (Health and Safety Laboratory). IGS features a unique hexagon pattern for superior traction and water dispersal, ladder grips that meet firefighter standards for safer working at height, and an angled heel strike to ensure you start and end your day upright and injury-free. With half of all major workplace accidents being caused by slips, IGS has really come into its own when reducing slips in the workplace. We have also now combined this super grippy, durable rubber sole with a lightweight EVA mid-layer for reduced weight and enhanced comfort. All our Footwear comes with a replaceable comfort insole, however all feet are different and many wearers are suffering early stage foot disorders. In order to provide a solution that will meet EN20345 it is now possible to personalise all our footwear with Dynamic Arch Insoles to help prevent or ease early stage foot disorders. This comes in a variety of arch heights and helps to dissipate body weight evenly reducing areas of high pressure and increasing comfort. To view the new sports range along with more features and benefits, simply download our brochure by clicking the button below. 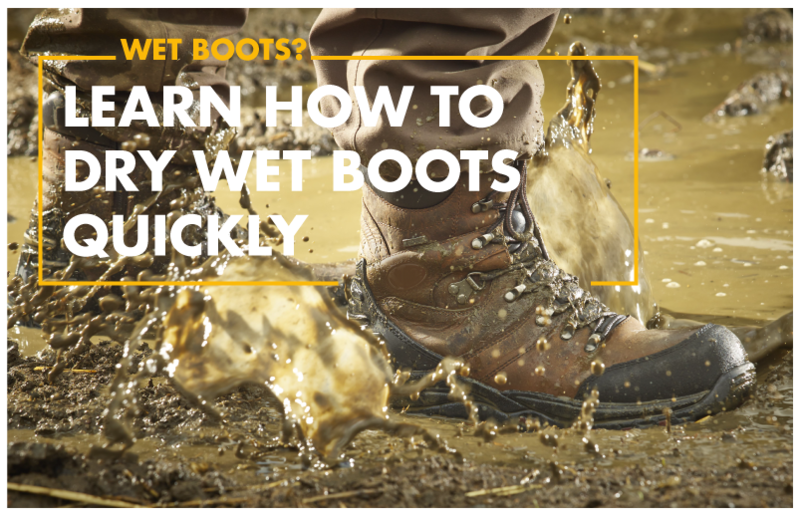 With the launch we are offering a FREE footwear audit and trial. Let us know you're interested by clicking the button below. 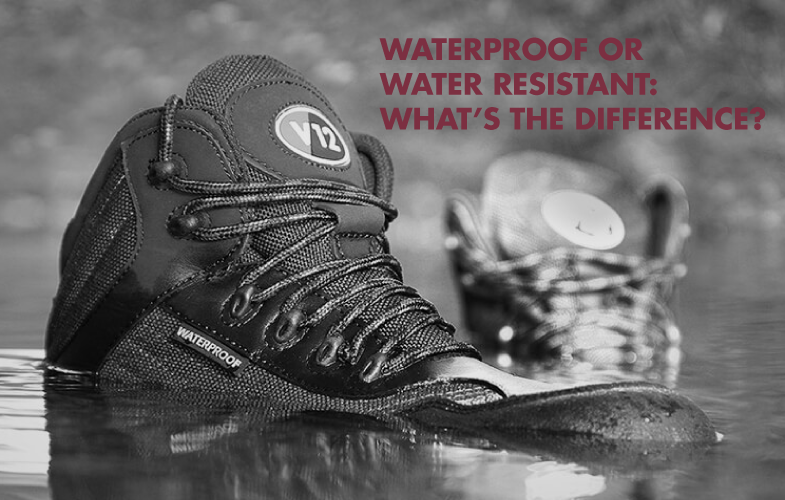 Waterproof or Water Resistant: What's the difference?